The find and hide game of chickens and eggs! 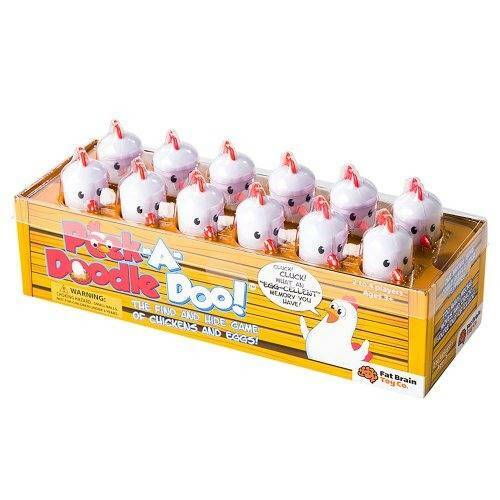 With constant motion, Peek-A-Doodle Doo engages your child's memory and concentration in a farm-fresh way. Hide the eggs under the chickens and then start collecting them one by one. You have to remember which chickens are still hiding eggs or else your egg will crack! Then, reverse the fun! You have to put the eggs back under the chickens without placing two eggs under one chicken!